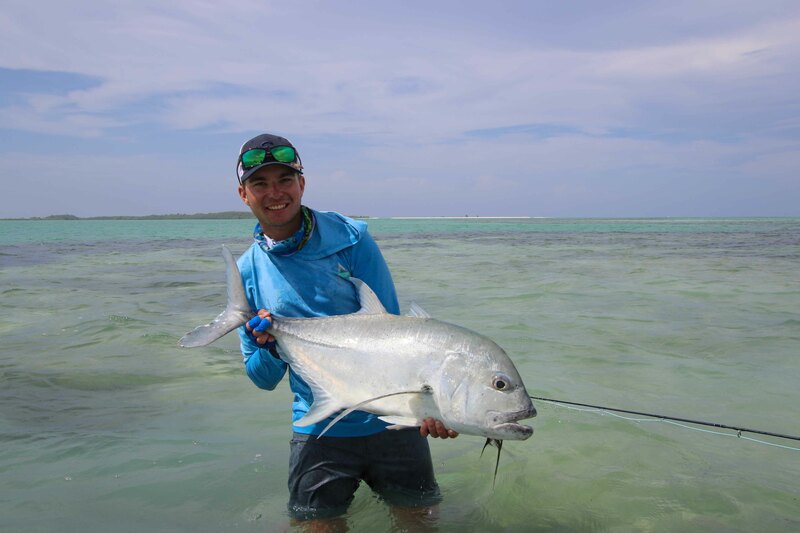 Christmas week saw spring tides turn into neaps opening up new opportunities that would allow the team of anglers to focus mostly on the inside of the lagoon and its vast white flats. 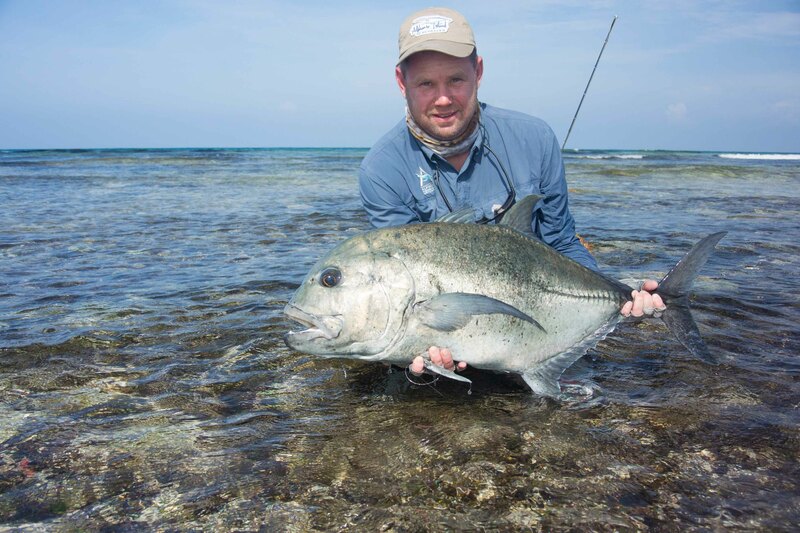 Despite the occasional passing showers, the weather was calm and sunny with anglers taking full advantage of the relatively static water movement to target an impressive array of numbers and species alike. 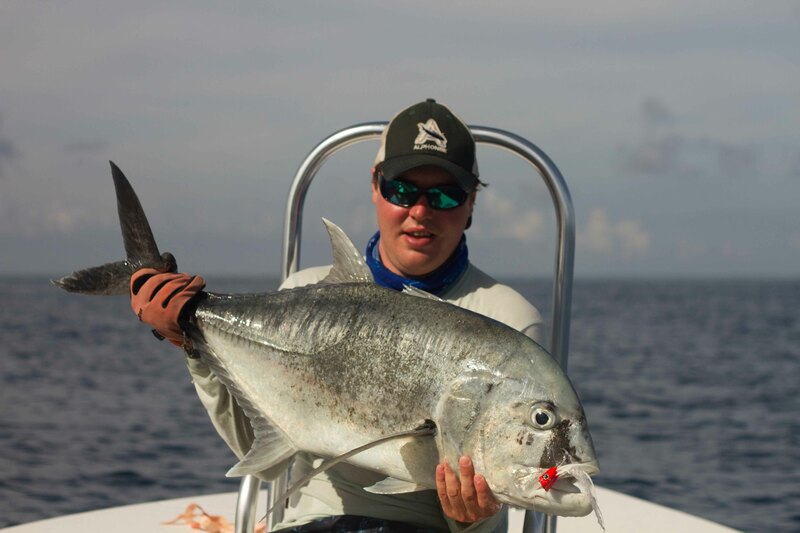 The island buzzed with families, couples and singles all wearing the Christmas spirit. 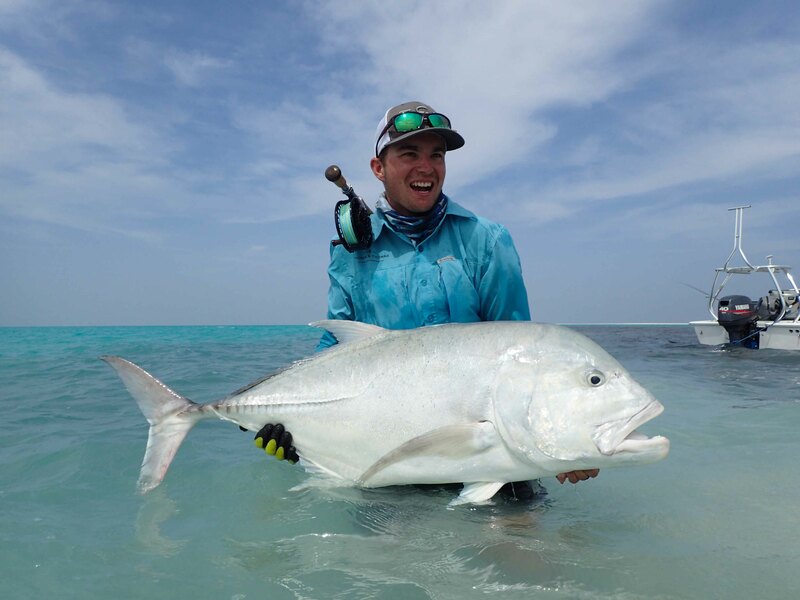 The excitement came to a head when Father Christmas arrived by skiff to make sure that every one received the gifts they so rightly deserved. 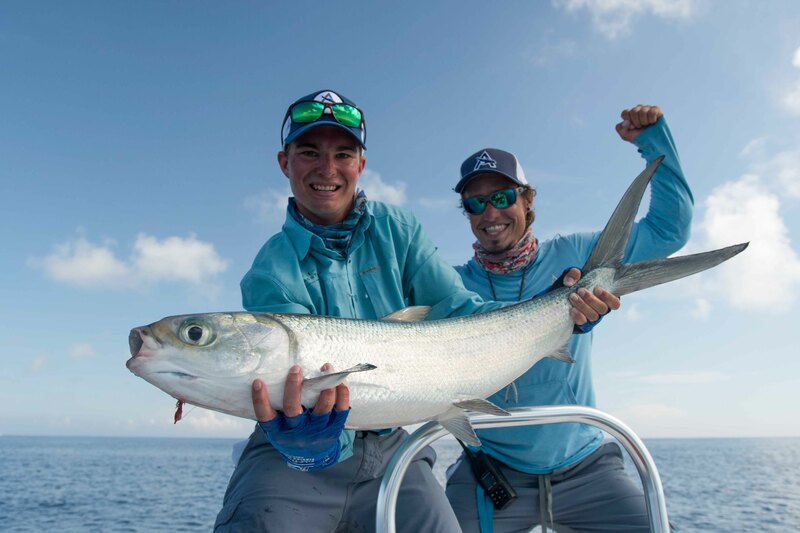 The Milkfish were in a jolly Christmas mood with large groups surrounding the atoll and the heaviest concentration just off shore along the eastern surf line. 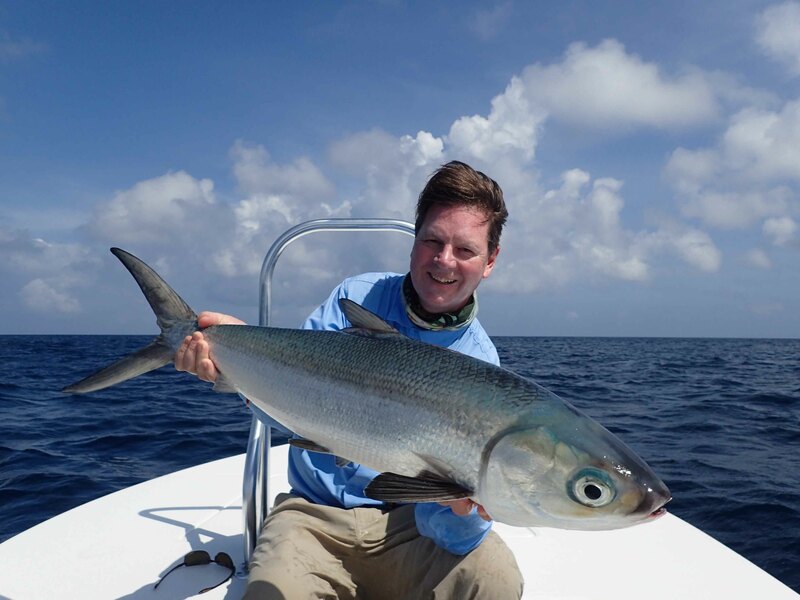 Six fish in total hit the net, three of which were landed by Thomas Hradecky who returned as an angler after ending his stint as one our star guides. 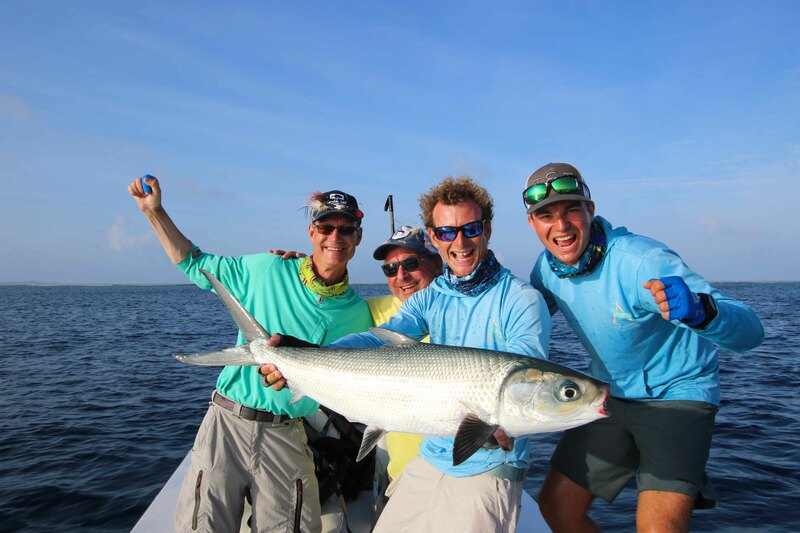 Peter Opperman, Allan Morrison and Mark Speelman all joined in to catch one of our St Francois high flyers. 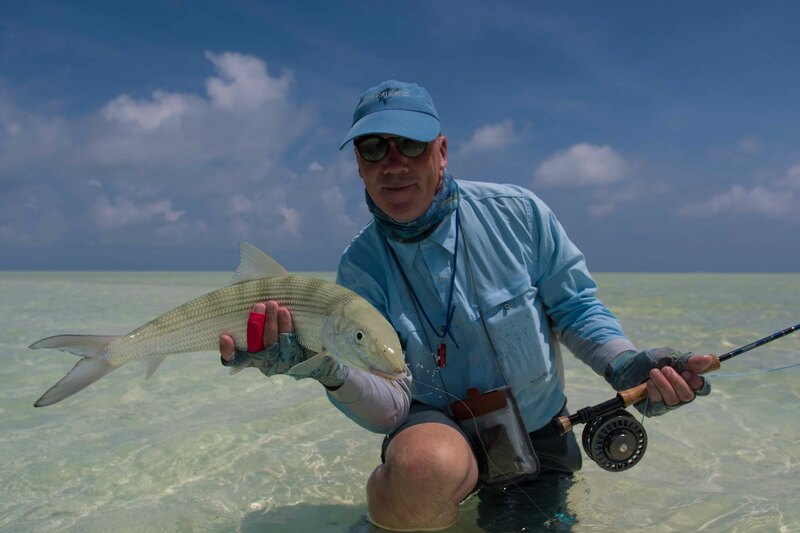 The GT’s were present in great numbers with 11 big fish landed after numerous shots, bent hooks, broken fly lines and leaders. 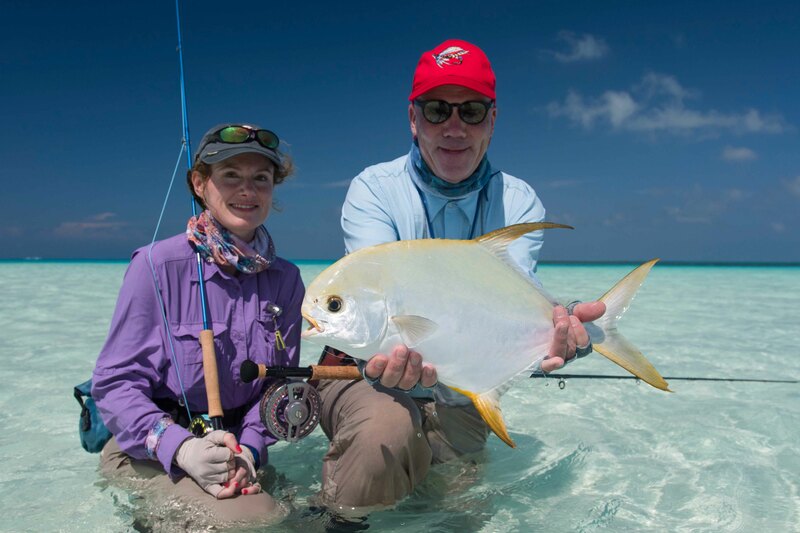 The largest measuring 113cm was tamed by lady angler Penny Morrison while alongside her husband Alan. 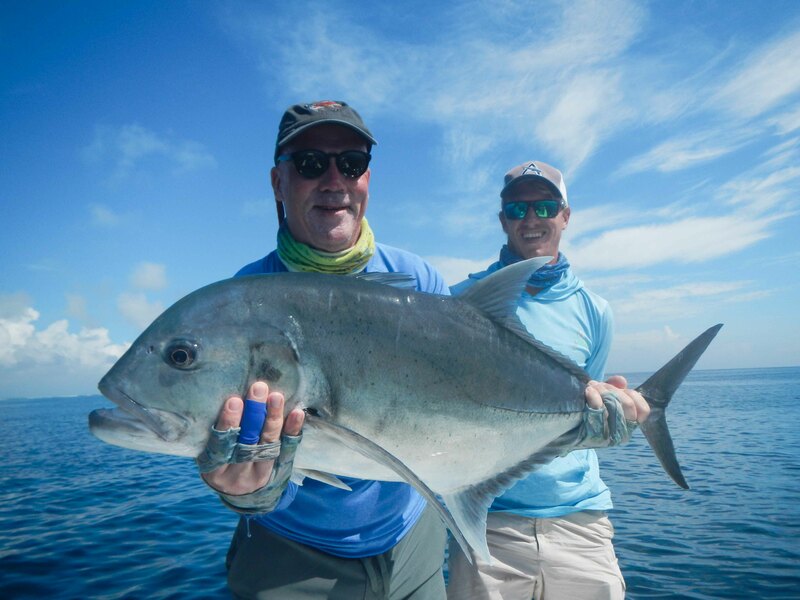 Alan’s week ended on an equally impressive note with him finishing off with one of each trophy species, including an amazing Christmas present in the form of his first Indo-Pacific permit. 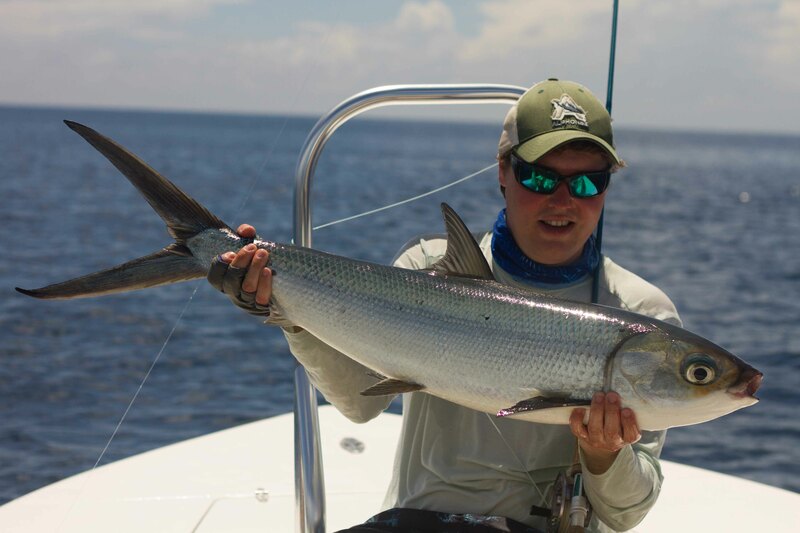 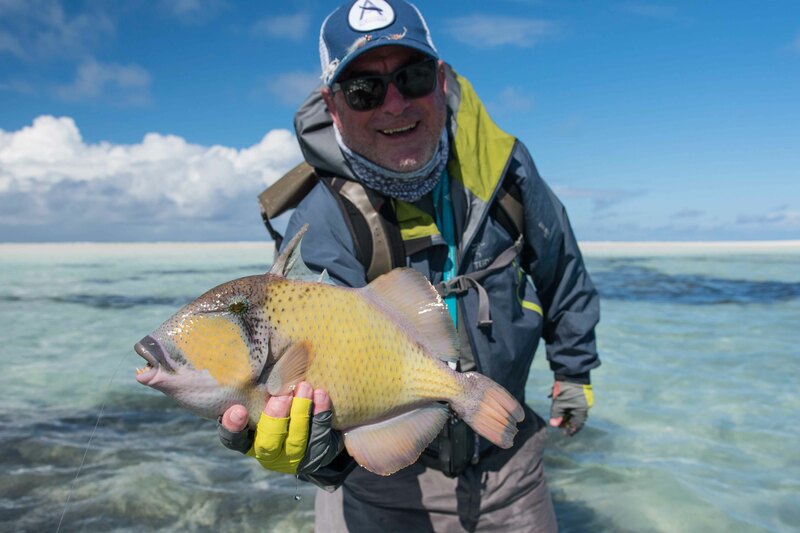 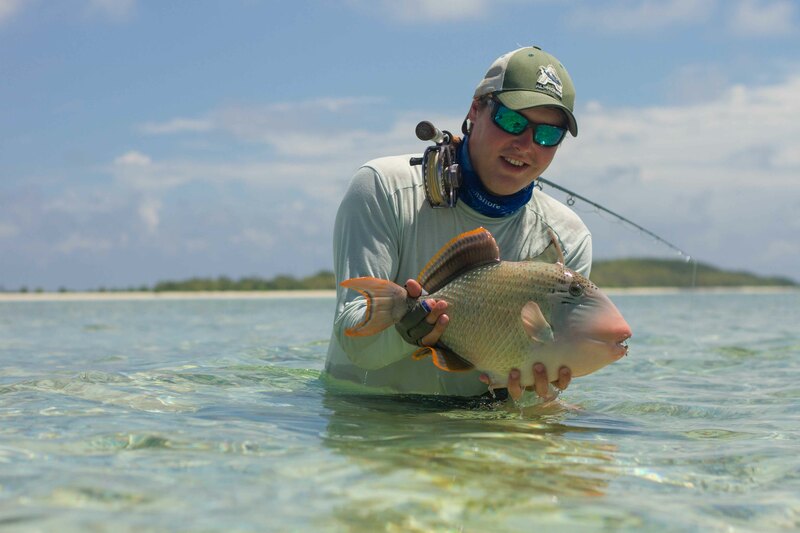 Later in the week Mark Speelman triumphantly made quick work of his species collection by achieving a “Super Slam” comprising of a GT, milkfish, yellowmargin triggerfish and bonefish in one day on the flats. 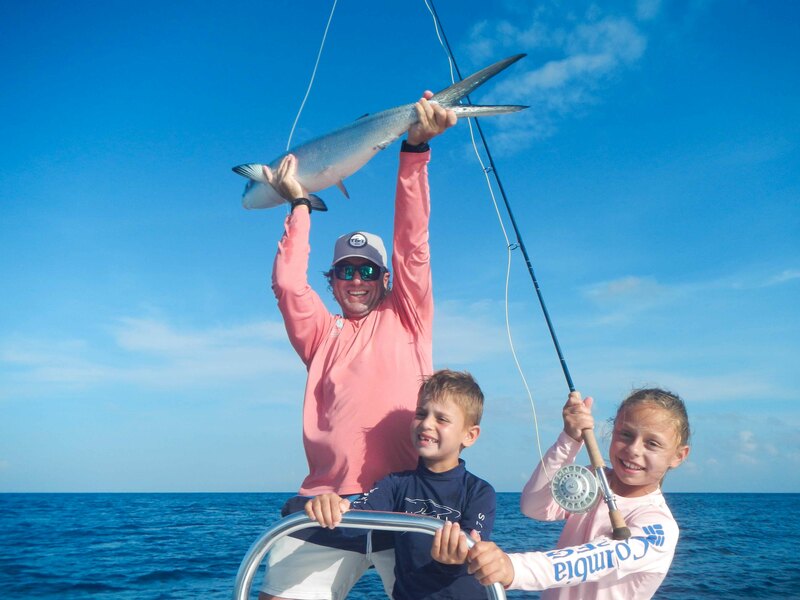 Out in the blue, the Opperman family followed suit with variety by landing a sailfish, wahoo, multiple yellowfin and dogtooth tuna. 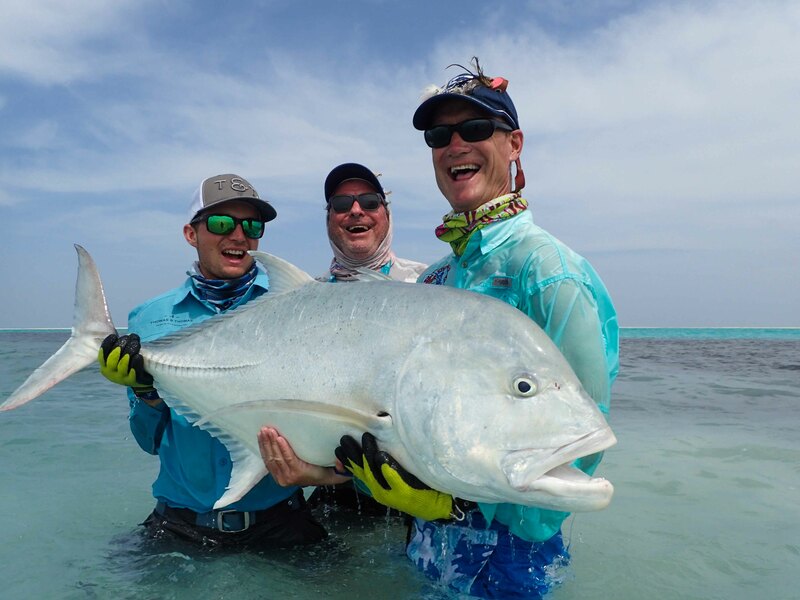 The Levy family had a full day adventure on A’mani and caught an array of pelagics and enjoyed the festivities of exploring our beautiful islands and ocean and all it has to offer.